Four Reasons Your Business Should Love #Hashtags | Get the Latest Online Marketing Trends in Web Design, Social Media, Blogging, and More. 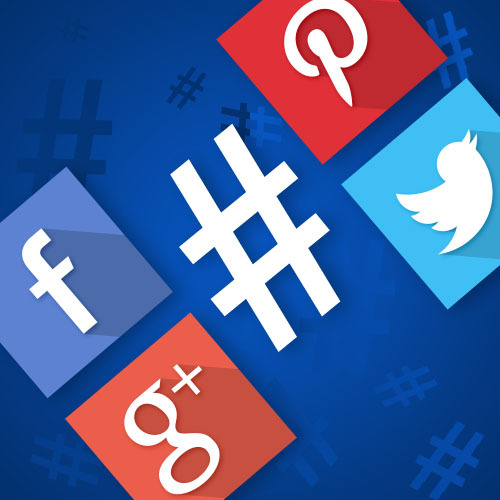 Whether it’s Facebook, Twitter, Google+, or any other platform, there’s one fact you can’t argue against – hashtags keep the social media world spinning. #FlashBackFriday, #Caturday, and all of the rest of the most popular tags keep the conversation flowing for people around the globe. While the fun that comes with adding this iconic symbol to your next tweet or photo on Instagram is enough reason to love hashtags, this is just scratching the surface for businesses looking to get a little more social. With this in mind, let’s spend a few minutes looking over the top four reasons your business should love, and use, hashtags as it begins to connect with consumers. Today’s social media landscape has moved beyond small networks of friends and family to a global stage that everyone can chime in on. Naturally, having so many voices talking at once can make things a little confusing without some form of order or categorization. Thankfully, hashtags help bring some sense to the muddle and keep the conversation rolling. In fact, Steve Cooper of Forbes Magazine notes that 43 percent of users find these tags helpful, while 34 percent use them to follow select brands and personal interests. As you can see, hashtags not only serve as a method of keeping people connected, they also keep your posts at the forefront of the conversations that matter most to your audience. Speaking of your audience, what better way is there to get to know what they like or dislike than by keeping up with hashtag trends on social media? As Cooper goes on to explain, you’ll have to hone in on the tags that matter most to your brand, but once you have this under control, your company can monitor the latest buzz surrounding relevant trends and conversations, which in turn provides unparalleled insight into the habits and actions of your audience. From there, you can use this information to enact a variety of strategies, including enhanced advertising targeting and data harvesting that provides feedback and suggestions for future products and services. Since Facebook decided to join the hashtag party in June of 2013, as reported by Vindu Goel of The New York Times, there’s even more reason to love using these tags. It might not seem like much at first glance, but having the ability to keep your tags consistent across platforms means a lot for brands making a big social push, according to Andrea Vahl of Social Media Examiner. Instead of worrying about how to best market your business on each platform, now your audience can identify, sort, and enjoy your posts by keeping up with what’s trending via the tags that matter most to them, regardless of which network they prefer. Perhaps the biggest reason to love hashtags as part of your brand outreach is the fact that this social tool is completely customizable. Sure, plenty of established tags lay claim to the top trending spots, but as Stephanie Buck of Mashable explains, what’s stopping you from making your own branded tag? Whether it’s a promotional tag for a limited time offer or simply a phrase that’s already connected with your business, having a hashtag that’s all your own not only generates some buzz with your followers, it also helps keep your brand hip and connected with today’s trends. For any company that’s looking to make a splash on social media, it’s easy to see that there’s no shortage of reasons to fall in love with #hashtags.